Discussion in 'Aquarium Photography' started by mr_tap_water, Jul 26, 2016. Vinnyboombatz, DSC reef and Lovemyreef2015 like this. You're pretty good at stating the obvious yes I do have a lot of fish my tank is stable and healthy my fish are healthy so I'm happy the way things are and I will enjoy my tank . I often wonder with people like yourself what does your tank look like and wonder how healthy it is that's if you even have one as your bully tactics don't bother me ,that you've had to hunt me down on another thread how sad is that ,And put that in your little rule book. If there are any MODS on this forum this type of Arrestment is why forums like yourself or struggling to get regular Threads from beginners and more experience reefers, from people like this, from having to delete a thread so not to cause friction then to be chased on another one, if that's not bullying what is. Doing something you obviously know is controversial and then acting surprised or offended when it breeds controversy is foolish imo.It is my sincere hope that the reason you are doing it is because you don't understand what you are doing is very dangerous.Tanks like yours leave zero room for error and it is a well known fact that overcrowding any animal (including humans) into a tight space is a recipe for death and disease.While you may think all it will take is an intervention by you when you notice a problem these sort of systems can crash in a matter of hours not days,weeks, or months. 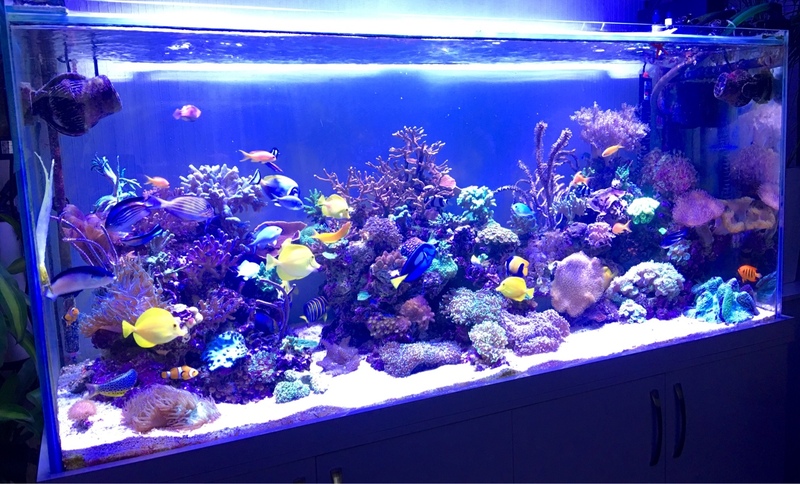 We here at 3reef care very deeply for the lives of these animals and try our very best to pass on the knowledge we have acquired over a great many years in the hobby.I have had a fish tank of some kind in my house for over 30 years. I take my responsibility to the animals in my care very seriously and they have as much right to live a long happy life as we do.I am sure you would agree with this. When you have seen so much death at the hands of people it is easy to become a little jaded but believe me when I tell you Mr. B only wants to help because he cares.I have to admit I am guilty of feeling anger when I see someone say they are breaking rules because "they want" something.That is the definition of selfishness and really strikes a nerve.These animals can't speak for themselves so it is up to all of us to be sure they are treated with respect. We have learned a great deal about these animals in my time in the hobby but still have a long way to go.Caution is always the best way to ensure success.If you fail to do that the only ones who suffer are the animals who pay the ultimate price.The loss of there life. Keep in mind that none of us get paid to be here and we take our valuable time trying to help others enjoy success and protect these beautiful creatures who share our planet. 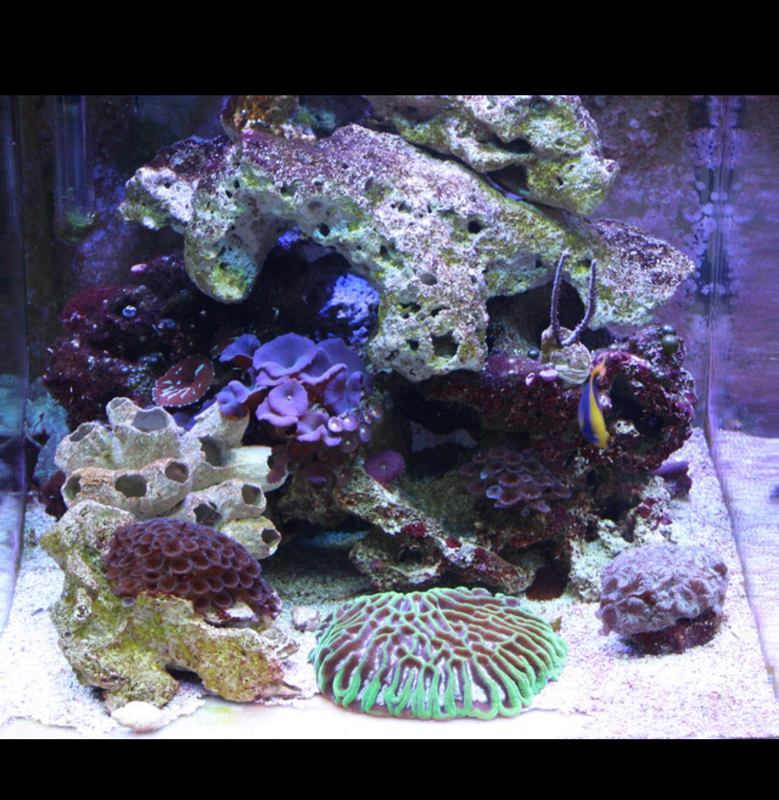 Swisswiss, Lovemyreef2015 and DSC reef like this. I respect your opinion but they are just opinions But at the end of the day for me this is just a hobby and is not governed by rules as we all like different things and I am happy at the moment the way things are with mine if I run into problems down the line I will either move the fish on or simply upgrade till then that will be my choice. what gives anyone the given right to say what you can and can't do . you say you been in this hobby for 30 years well I've been doing it since the mid 70s have experience many types of fish and corals and systems to match but that still does not make me better than anyone else and would never force my own opinion on on anyone if people want a pacific fish or a lot of fish that should be there choice and as said before no one has given right to tell them not to, but there is no harm in giving advice if they've asked . People should not be chased around the forum because of another persons dislikes or beliefs specially when I never asked how to run my tank in the first place. I would say people like you guys need to get a life and look after your own systems instead of trying to dictate and force your own opinions on other people no wonder why this forum is struggling, just look how many people have posted today and that's no disrespect to the forum itself and to the friendlier people that are on here. My opinion is based on years of experience but no one is telling you what to do. Good luck. And nor is hounding people on forums. You weren't giving an opinion you were dictating. I can see how much experience 30 years has got you .